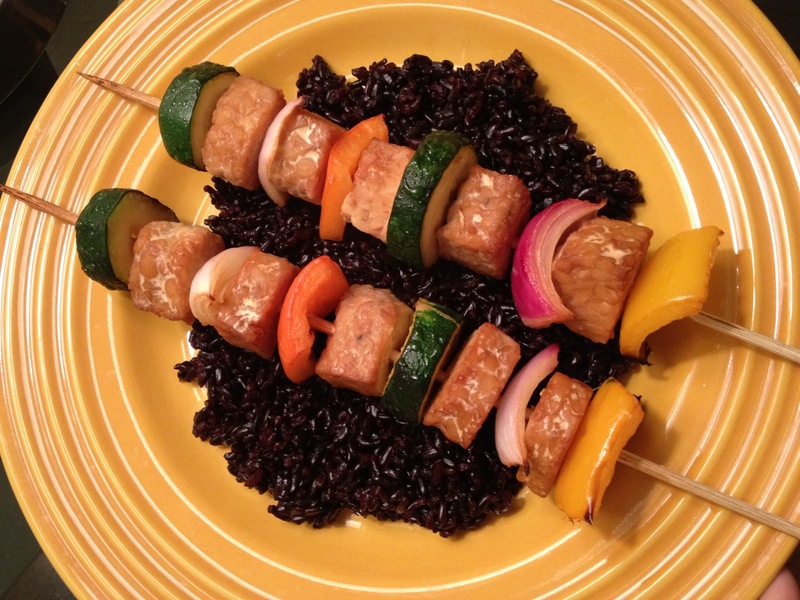 I love the marinade for Tempeh Lemon Broil which I also use for these vegetable skewers. This is such an easy meal to make because I marinate the tempeh and vegetables early in the day and just bake it while the rice is cooking. These measurements make about 8 skewers. I like to make them all the same, but toward the end, the last one or two are usually just vegetables! Cut the tempeh and vegetables into big chunks. Whisk the marinade together. Place the tempeh and vegetables in a bag and pour the marinade over it. Let it marinate in the refrigerator for a few hours. Preheat the oven to 350. Line a baking sheet with tin foil. 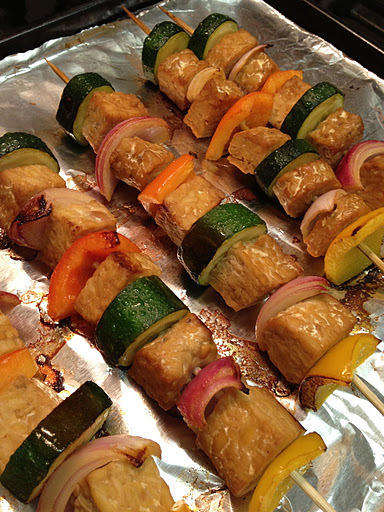 Skewer the tempeh and the vegetables and bake for 30 minutes. Make the rice. Serve the skewers over the rice. Enjoy!